The ISIS attacker who killed one person and stabbed four others last night in Paris was, to the surprise of the public, once again someone who was well known to security forces as a ‘possible ter-rorist’, or a so-called ‘Fiche S’. The man behind a deadly knife attack in central Paris, known unofficially as Khamzat Asimov, was born in the Russian Muslim province Chechnya and had been on the police radar for radicalism. He had been granted asylum in France some 15 years ago. This morning his parents were detained for questioning by French authorities. 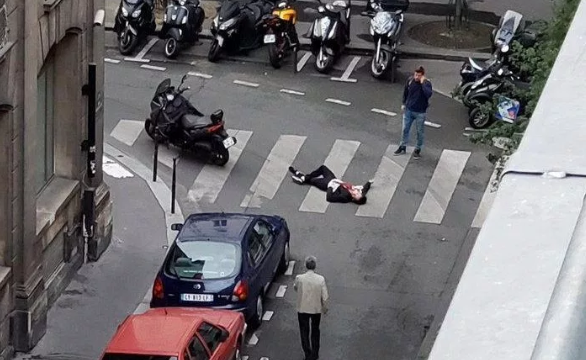 Counterterrorism investigators are currently trying to determine why Mr Asimov stabbed five people in a busy neighbourhood in the heart of the French capital Saturday night. He succeeded in killing a 29-year-old man and wounding four others before being tasered and finally shot by police. The Islamic State group said via its press channel that the terrorist was one of its lone wolves who had pleaded allegiance to their cause but provided no evidence or details about his identity. The fact that it concerns once again an attacker who was on the government’s watchlist worries the public. France has lost more than 230 citizens to terrorist attacks in the past 3 years. In the US, the brothers behind the Boston Marathon bombing, Tamerlan and Dzhokhar Tsar-naev, also originated from Chechnya. In Turkey, a Chechen jihadist killed 45 people during an attack on Istanbul airport in in 2016. I like this article. Now that it is for sure a terror attack we wont see many articles from the MSM about this.